* Comfortable handle and lockable for extra security. 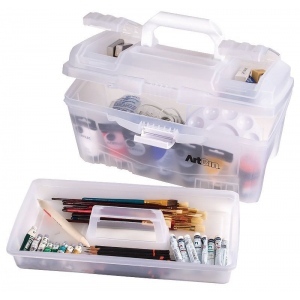 * Lift-out tray and two additional compartments in the lid keep supplies organized. 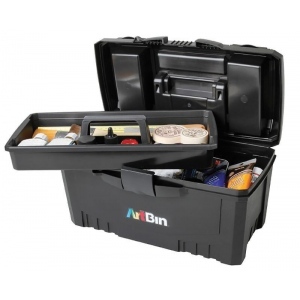 * Large main compartment for bulkier items. * Overall size: 17”l x 8.5”w x 8.5”h.